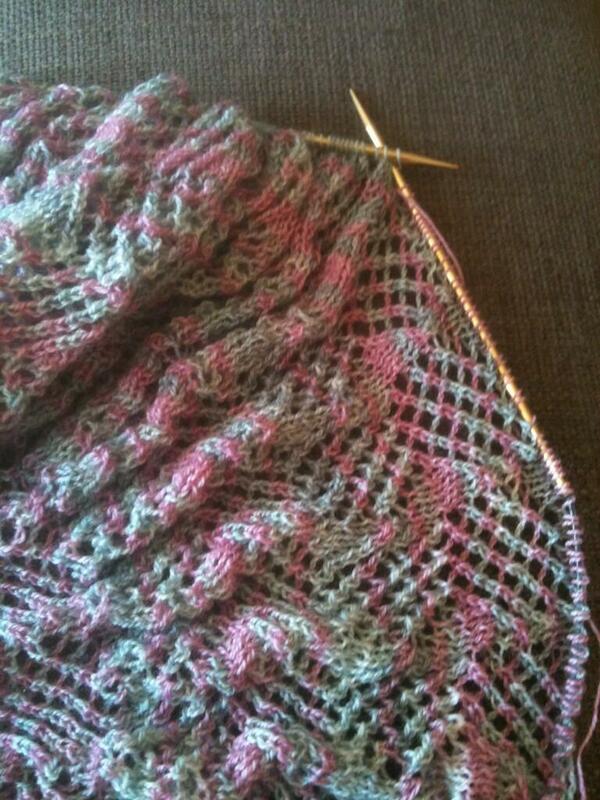 I’ve been focusing on the big non easter egg colored lace blob this week. Which totally paid off because I finished this section of the shawl!!! Wheee! Finishing this section means changing up the color sequence. I’m not exactly sure what it’ll be yet, but I’ll play around with a couple options and come up with something or other. The green side to side triangle got a couple more rows since last week but not a whole lot of attention. What a beautiful project! I truly admire those who love to work lace patterns. I am a novice at lace but admire the beauty. Just gorgeous. Your designs are breathtaking …. truly!